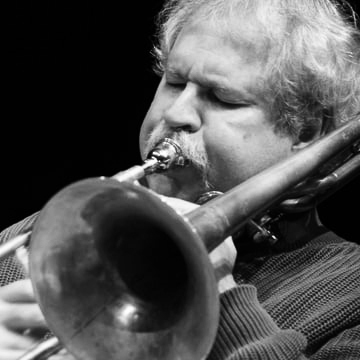 Jim Staley, trombonist and composer, has resided in a lower Manhattan since 1978. His work has been primarily working with improvisation, crossing genres freely between post-modern classical music and avant-garde jazz. He has worked for many years with other highly experienced improvisers, both dancers and musicians, including Sally Silvers, Pooh Kaye, Simone Forti, Ikue Mori, Davey Williams, Shelley Hirsch, Phoebe Legere, John Zorn and many others. Staley’s recording projects include Blind Pursuits with Phoebe Legere and Borah Bergman; Mumbo Jumbo-different trio combinations with Wayne Horvitz, Elliott Sharp, Shelley Hirsch, Samm Bennett, Ikue Mori, Bill Frisell, Fred Frith and John Zorn; Jim Staley’s Don Giovanni, with Mori, Davey Williams, Zeena Parkins and Tenko, plus several more. Staley has recorded with Fred Frith, Elliott Sharp’s ensemble Carbon, and for John Zorn on several records including, Spillane, The Big Gundown, Cobra, The Little Lieutenant of the Living God (Weill/Zorn) and several others. Staley also performs and records with the Tone Road Ramblers, a collaborative chamber-improv ensemble, together since 1981. 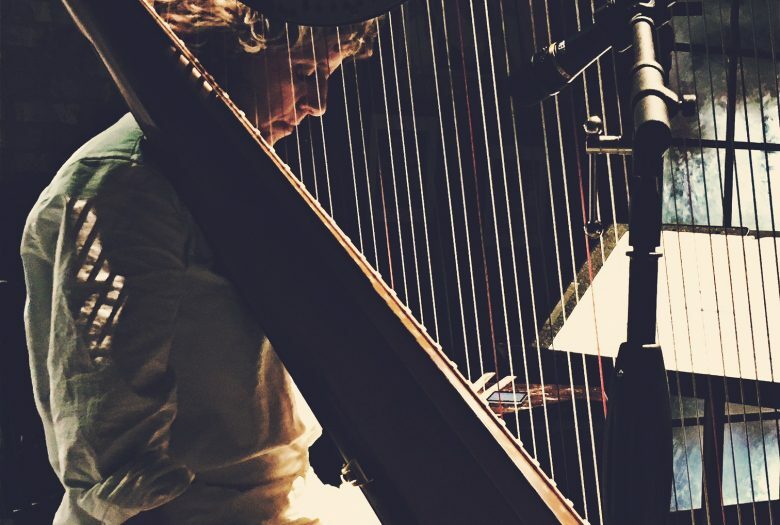 Zeena Parkins, multi-instrumentalist, composer, improviser, is a well-known pioneer of the electric harp and also has extended the language of the acoustic harp with the inventive use of unusual playing techniques, preparations, and layers of digital and analog processing. She accurately describes her harp as a “sound machine of limitless capacity” and has expanded her instrument using everything from household objects and hardware store finds to leslie cabinets, guitar pedals, numerous other digital processing hardware, and assorted software. Ms. Parkins has appeared on over 70 CDs and in hundreds of concerts in both large and small spaces all over the world. She is a sought after collaborator, performing with Jim O’Rourke, Nels Cline, Lee Renaldo, Kaffe Matthews (Weightless Animals), Thurston Moore, and Pauline Oliveros. Special projects have included touring and recording with Bjork (Vespertine, World Tour and Family Tree Tour), Tin Hat Trio (Book of Silk), Yoko Ono (Blueprint for a Sunrise), Don Byron, Butch Morris (International Comprovisation Ensemble), Elliott Sharp (Psycho~Acoustic, Orchestra Carbon), Ikue Mori (Phantom Orchard, B Side, Hex Kitchen), John Zorn (Cobra, Bezique, Darts, The Bribe) and Fred Frith (Soloist in Traffic Continues, Graphic Scores, Skeleton Crew and Keep the Dog).